Even Hollywood, whose calls the Los Angeles Lakers as neighbor, could not have scripted a better ending. Kobe Bryant, starting out as a lanky 17-year-old fresh off high school, played with one and only one of the NBA’s 32 teams. He’s loyal. But beyond his 100 percent allegiance to the gold-and-purple team, he’s produced numbers that will rank him among the greatest: 5-time NBA champ, 18-time All-Star, 1997 Slam Dunk winner, and 2-time Olympic gold medalist. How about shooting 30,699 times? Yes. It’s incredible how the statisticians have kept score but they counted each one of No. 24’s shots and that’s how many he took in 20 years. And how about that final game last Thursday morning? He rallied LA from a 15-point deficit and converted on six 3-pointers and 10 free throws. In all of sports, I don’t think there’s an ending that can rival that ending. Of Kobe’s goodbye, the game was so in-demand that one fan reportedly paid $27,500 (P1.26 million) for a ticket. And guess how much worth of Kobe merchandise the Staples Center sold that day? $1.2 million. That’s a single-day record for any stadium in the world (besting Led Zeppelin’s $1 million at the O2 Arena in London in 2007). Remember those moments watching Kobe, grinning ear to ear, hugging and kissing his wife, Vanessa, and daughters, Natalia Diamante and Gianna Maria? Very touching. That was at the Staples Center. Northward, about 370 miles farther, was a game simultaneously being played at the Oracle Arena. Which was better to watch? Steph throwing that ball almost carelessly but always finding the net, the MVP scoring 20 and six treys in the first quarter? Or Kobe scoring 23 points in the fourth quarter? Was this the greatest day in NBA history? I think so. There are some Game 7 cliffhangers that are more thrilling — but where can you find one night (played at the same time) when the slithery Black Mamba retires with 60 and The Baby-Faced Assasin parlays an accummulated 402 three-pointers to lead the team from Oakland/San Francisco to 73 wins? I cannot think of a day that’s more compelling and momentous. One legend retires; one team eclipses MJ and Chicago. Speaking of the Bulls, in their 72-10 season 20 years ago, they did one thing that the Warriors have yet to achieve: win the season’s very last game. If, for some unfortunate scenario, GSW gets upset by Houston in the first round or the Clippers in the next or gets eclipsed by LeBron and the Cavs when the finals commence starting June 2, all the hoopla disappears. As high as the season unfolded, it will be recorded as a failure. And so the pressure is on; nothing less than a back-to-back trophy is needed by cast that includes Klay, Draymond and Andre. 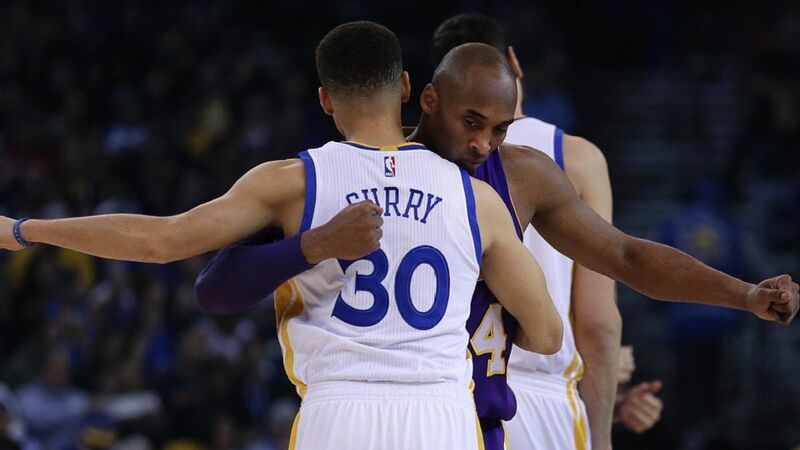 With Mr. Curry, the overused word “Wow” is an understatement; he’s outshining the limits of greatness. As I’ve said in the past, he should win the league’s “Most Improved Player” award. This, apart from being the first in history to be a unanimous MVP. In one word, he’s golden. Down by a percentage point (29.9 PPG average) heading towards the last game against Memphis, he scores 46 (and sat out the entire 4th quarter). The result? It pushed his regular season average to 30.1.